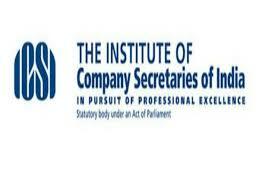 The Institute of company Secretaries of India introduces new syllabus for Executive and Professional Programmes. The revised syllabus of the Company Secretary course is effective from March 1, 2018. The first examination for CS Executive and CS Professional programme under new syllabus will be held in December 2018 and June 2019 respectively. The Core Subjects aim to create expertise in the future Governance Professionals and in view of this the following have been given emphasis- Company Law, Securities Laws, Insolvency Law, FEMA and GST. The Ancillary Subjects focus upon creation of working knowledge in order to provide support to the Core areas. The following areas are covered under the Ancillary- Accounts, Finance, Taxation, Economic, Business and Commercial Laws and Business and Financial Management. Lastly, Hybrid Subjects ensure integration of Core and Ancillary areas. The Hybrid subjects will cover - Setting up of Business, Governance, Risk and Compliance Management, Drafting, Pleadings and Appearances, Secretarial Audit and Due Diligence, Restructuring and Insolvency Resolution, Corporate Funding, Corporate Disputes etc. · Introduction of new subjects in Executive Programme and Professional Programme, like, Jurisprudence, Interpretation and General Laws; Setting up of Business Entities and Closure; Financial and Strategic Management etc.